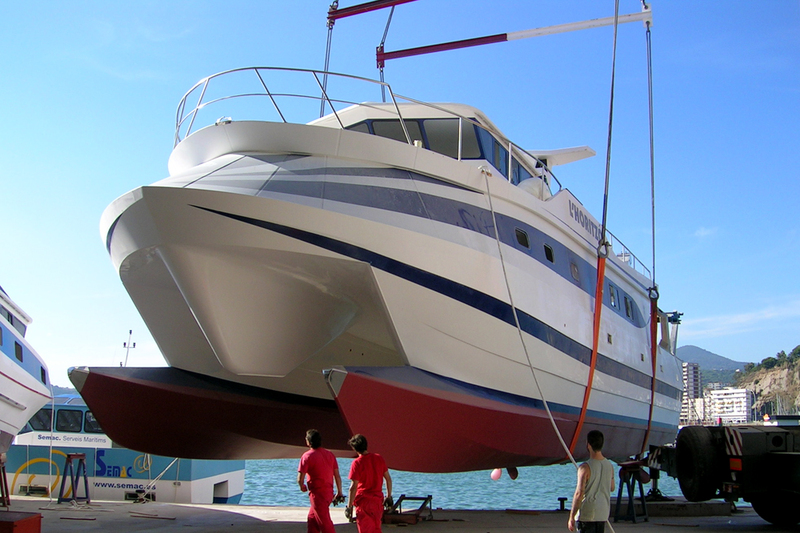 The main business of DALMAU SHIPYARD is the building of any type of boat with fiberglass, adapted to customer needs. a) Catamarans and Monocascs passengers up to 50m length. c) Working boats for different applications. d) Military and patrol boats. e) Custom yachts adapted to customer specification. 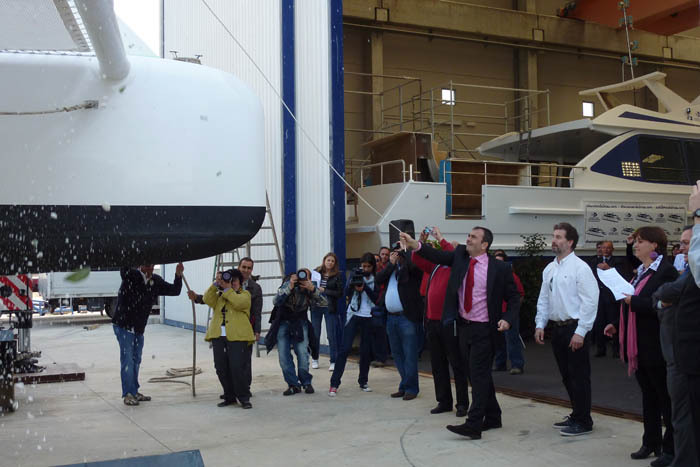 Currently Dalmau Shipyard employs 25 workers directly and 50 indirectly, considering the amount of work generated to multiple subcontracted companies. We have an own technical office that is dedicated to the design of our ships to adapt them to the needs of the final costumer. All projects are developed in 3D to show as much as possible the final result that the costumer contract. Then this design is used for the direct production of all the components. Due to the economic crisis our company has been forced evolve improving the competitiveness of our products, investing even more for quality and innovation, creating products and solutions in the sector. Consequently our market position has been reinforced, placing our shipyards as one of the most reliable, solvent and technicaly advanced of Southern Europe.